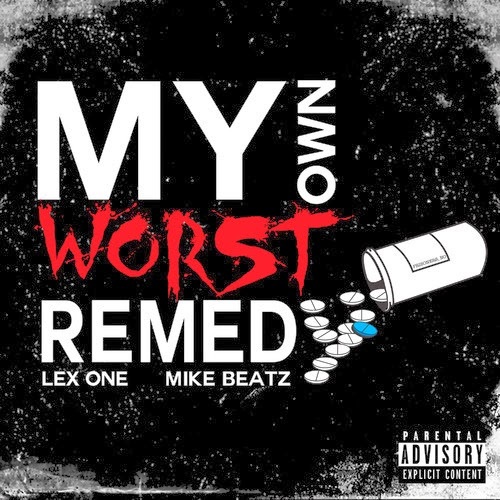 Miami rappers Lex One and Mike Beatz are cracking the scene with their first single ‘My Own Worst Remedy’ taken from their forthcoming album - ‘No Prisoners’. The duo who are no strangers to the alternative hip-hop and dance scene, were previously known as Wizard Sleeve - a group that consisted of Lex One, Mike Beatz and DJ Pusher Fm, have now returned with a bang. They have an arsenal of collaborations and releases between them including production for top hip hop acts such as T-Pain, Trina and east coast duo Capone 'N' Noreaga. They also have releases on Ministry of Sound, Skrillexs' Owsla label, Hed Kandi, XS, Data Records, Southern Fried, Passenger and achieved platinum sales status in the UK with their hit single ‘Riverside (Let's Go)’ under the moniker Wizard Sleeve. On 30 March, ‘My Own Worst Remedy’ will officially be released, and their forthcoming album ‘No Prisoners’ will see it's release on 6 July, 2014. Lex One and Mike Beatz are delivering some dope stuff here, don't trance on them.